After finally finding the PO I'm told the engine in my pickup is a 1971 350 block with a 283 crank making it a 302. My truck was running fine prior to adjusting the valves. I was trying to get rid of a little clatter a couple valves had. I was trying to adjust the valves that I'm assuming are hydraulic by loosening the nut until it clatters, tighten until the clutter stops plus 1/4 more. Just will not run right. I have tried 1/2 more after the clatter stops but it runs worse. I was thinking they may be solid lifters but was told it probably would not have ran tightening the valves down that much. Looking for a little help. It will run but like crap. Try running .008 on the intake and .0012 on the exhaust. ted dehaan and glennsexton like this. Thanks. There is a lot of mixed answers on what they need to be set at from some of the other forums so I think I'll start with .020 and see how it goes. The setting I gave you are for a 63 "Fuelie" cam I had a long time ago. The most radical I can think of is the 30-30 cam used in the 64 Corvette. 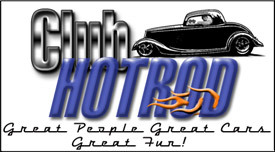 I have looked at your post on hotrodders and as usual the so called experts over there are all over the place. Good luck. I suggested you start at ".020", did not say that is your setting, .020 will usually be safe to start as your cam's settings are unknown. I also suggested you try an "Old time way of adjusting valves with vacuum gauge"; back off till they tick (at idle), tighten/loosen slowly to highest idle vacuum, run the rack (all valves) several times adjusting slightly to get highest vacuum or until there is no change in vacuum readings. Believe it or not, your vacuum gauge will tell you the valve clearance needed by using the above method then measuring the clearance with a feeler gauge for future. JMHO; keep in mind by your own words "you have not done this for a number of years", and with the problems you're having, I would not recommend the one revolution (#1tdc - #6tdc) method for adjusting valves (in fact I don't recommend it at all). Use the two revolution method, it assures the valves for the cylinder being adjusted are actually closed. Further, may I suggest you slow down and try one method at a time, and not combine several different methods together. Also there is a strong possibility, "Mr. Techinspecter1" was correct when he told you your cam may be going flat. I know it's not what you want to hear, but check your oil for metal (looks like metallic or metal flake paint). And PLEASE, as you go forward, keep a log of all the details about your car's specifications, motor, running gear, oils, plugs, fuel, exc.. You will appreciate it in a few months when you have forgotten, and the next owner will too. NTFDAY, johnboy, 34_40 and 2 others like this. First, you need to know for sure if they are hydraulic, or solid. Period. With the valve cover off, the one where no. 1 cylinder is located. Now hand rotate, or bump the starter until it is close to TDC. Then, turn it until the marks are at TDC. As you said, you only have a couple that made noise. There is much more about lifters, but, this is short to find out what you have. Other things like how many miles on the motor ? How many miles until the noise started? Is it low on oil? Are the nuts holding adjustment? Are the studs for the rockers pinned, screw in, things like that. And, have you used a dial indicator to check the rocker amount of movement on each rocker? Lastly, even new lifters can have been sized wrong, and create a fast bleed down, and do not pump up fast enough, causing noise. How much oil pressure do you have at idle? One other thing is, if you tightened the lifters to fast, they will hold the valve open. This must be done a slight turn at a time with the engine running. The main reason is if they have miles on them, they will build up varnish, sludge, and it doesn't take much, and will not adjust to the new setting quickly. With engine running, when you start the adjustment, put slight pressure on the the nut to turn it, you will feel it, easy, hard, pulsating with each Revolution of the running engine. And, as mentioned, a vacuum gauge is your friend. Of course, you may have a lobe or 2 that has worn. But, you won't know until you check things out a step at a time starting with basic things... That is all. Last edited by DennyW; 11-06-2018 at 11:04 AM. I agree with Denny. I wrestled with this a long time. Found out of 1,000 videos on you tube, 999 were wrong. The advice above is spot on. One thing I would do and you may not like it, is pull the intake, the push rods and the lifters, check the pushrods for straightness, check the lifters to see if one is excessively worn. I would also check the valve geometry and the rocker arms plus the rocker arm studs. The reason I suggest this is the lack of success you are claiming using reasonable techniques. If something is worn ie cam lobe, push rods, etc. it will never work out. Another suggestion is to look up Blackstone Labs, get an oil sample test kit and send a sample to them. They will tell you straight away, normally in a couple of days, if there is some excessive wear in your valve train or components. The solution to mine was replace the lifters, push rods plus the rocker arms, and rebuild the engine which was full of metal shavings. The advantage was by catching it I was able to not destroy the engine. The rocker arm studs were screw in so they were okay but I did replace the locknuts. At the end of the day the solution was to tighten them more than I thought because of my inexperience. This is just an opinion with an objective to support what the guys above are saying. It was only my experience. Last edited by wrp; 11-10-2018 at 10:08 PM. NTFDAY, DennyW and 40FordDeluxe like this. Ok guys.....here is the update on adjusting my valves. I adjusted the valves per the procedure below. I set both the intake and exhaust valves at .020 cold. I'll be damned if it don't run like it did before I started adjusting the valves. So far I am a happy camper. I let it get a little warm and took it out for a run. I didn't get on it to hard but man does it pull and sound like it did before. When I got back I listened to the engine and like before it has some engine noise which now since I know it's not hydraulic I'm fine with it . I did hear something on the right bank that sounded like an exhaust tic. I'll investigate that further tomorrow but for now I'm satisfied. Thanks for all the input. i have a 302....all were built with solid lifters with duntof 30/30 cam.....set lash at .030...........i just went thru this on my engine..
says specifically to set them "hot and running". bounce at the seats at high revs - it will also be noisy. both valves are still on the ramps at TDC, as I pointed out in the beginning. max lift, not the geometric center of the lobe - the lobes on the "30-30" cam are asymmetrical). two positions are on the base circle due to mechanical lifter cams’ long constant velocity clearance ramps. and MUST be used for cams with very long clearance ramps. and clearance will remain more consistent over the entire engine operating spectrum. check every 12,000 miles as part of a normal tuneup. Note: Clearances/clearance ramp heights are listed inlet/exhaust. Last edited by DennyW; 02-27-2019 at 09:39 PM. I always set then hot. Same here. You want everything up to temp for the final adjustment. Wow-----what a read Denny-----------guess as I'm getting older and its harder to bend over those fenders---------come on electric cars!!!!!!!!!! !will we have to check things with a volt/ohm meter????????????? ?how do we find tdc on electric motors?????? And I used to get cams ground especially for me with the same lobe diameter base circle so I could change cams without having to adjust lash!!!!! !